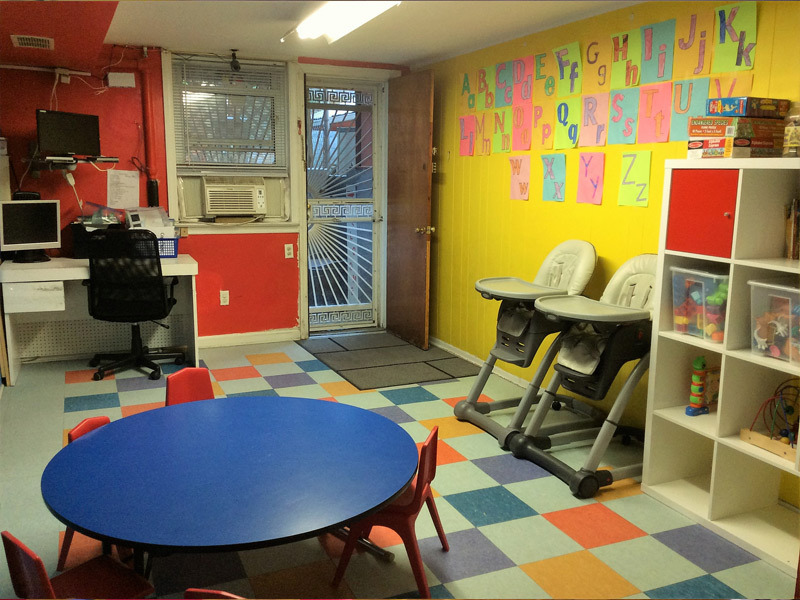 My name is Hasene and I am the owner of Giggles of Bay Ridge Day Care.I started this business back in 2007 and have called Bay Ridge my home since 1992. 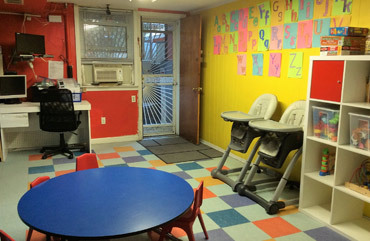 Both my children have been raised in this community and still are a part of Bay Ridge.I have spent years working in Corporate America before finally fulfilling my life long dream by opening up my own Day Care. I opened up my home to our first program back in April 2007 and after a successful two years, I was able to expand and obtain a license to open our 2nd center. 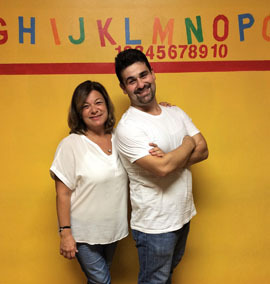 I now operate two centers with my son, Ali, who oversees and manages both centers. I am proud to say that we are a "Family Owned and Run Business”. Our day begins at 7:30 AM and if filled with activities like free play, circle time, structured play, arts & crafts and educational games. We serve breakfast, lunch and snacks. Par of our day consists of daily walks to the park and occasional trips to the library. Weather permitting, we take the kids outdoors twice a day to the nearby kiddy park or on neighborhood walks to the library for story time. Our usual playground is Shore Road Park located 1/4 of a block away. The kiddy park is located off the street level, where you can find lottos greenery and age appropriate swings and slides. During the summer months, we take the children out to the park to enjoy the warm weather and take in some fresh air. In July and August, the children are taken to the sprinklers with their bathing suits and towels for some water fun. We provide snacks and occasionally have a picnic lunch at the park for added fun. During the winter months, we are unfortunately stuck indoors. After breakfast and after nap time the children are separated into two groups. 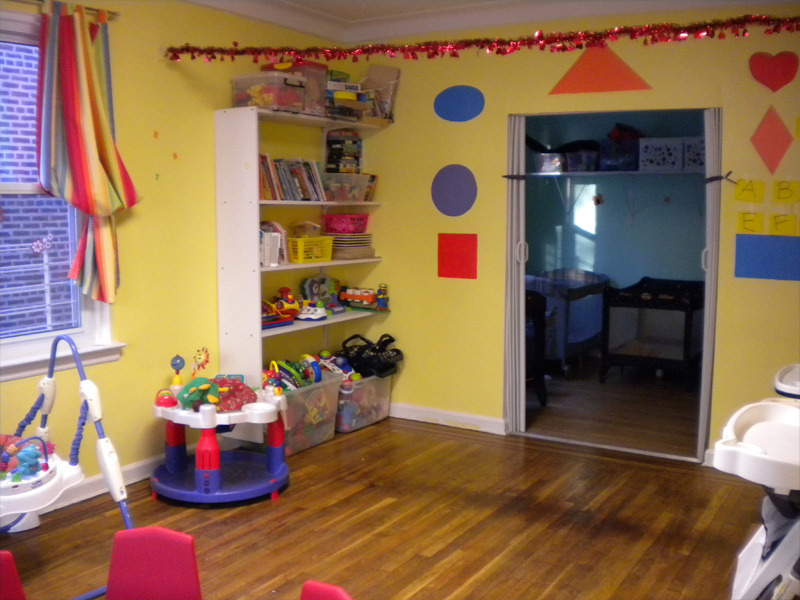 The older kids are in a classroom atmosphere where there are lots of fun activities, arts and crafts, games, etc. 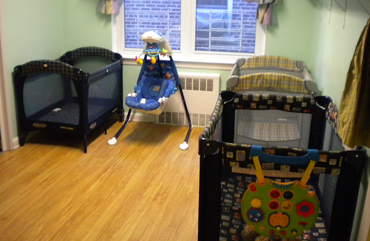 The Infant's are in a separate room where they are also doing activities geared around their age group. They can work on puzzles, legos learning colors and shapes. Tummy time and crawling to discover is what some do best. Our entire staff is registered by the State of New York. Each employee has undergone a background check and been given clearance to work with children by the state. They have all been trained according to the regulations designed by the State and all the trainings are kept up to date each year. Our staff receives the mandated hours of training per year on childcare and other related topics including CPR and First Aid. Our staff works hard to ensure they are fully prepared to care for and educate all of our children. I’m sure you will find our staff to be fun, caring , loving and most importantly, a responsible group of people. Our staff strives to provide the best possible care for all our children and does so throughout a long and full day. Keeping this in mind, all children must be picked up in a timely and prompt manner. In case of late pick-ups (late pick-ups are NOT encouraged) an additional charge of $1 per minute will be incurred starting at 6:35pm. Parent/Guardians must complete and return all required documents provided with the non-refundable registration fee in order to hold their spot. No spot will be guaranteed without the commitment of the registration fee. 1st month’s payment is due 30 days prior to start date or ASAP if there is less to start. Day Care fee’s are due on the first day of every month in cash or check form only. Payments made in a timely manner are greatly appreciated. Late payments are frowned upon and may be subject to a late payment charge. Any returned check’s is subject to a $50.00 charge. 2 returned check instances will result in “cash only” payment acceptance. - If your child will be absent due to illness/vacation/other please provide as much prior notice as possible. - This will help us so that our day’s activities are not held up waiting on your child’s arrival. 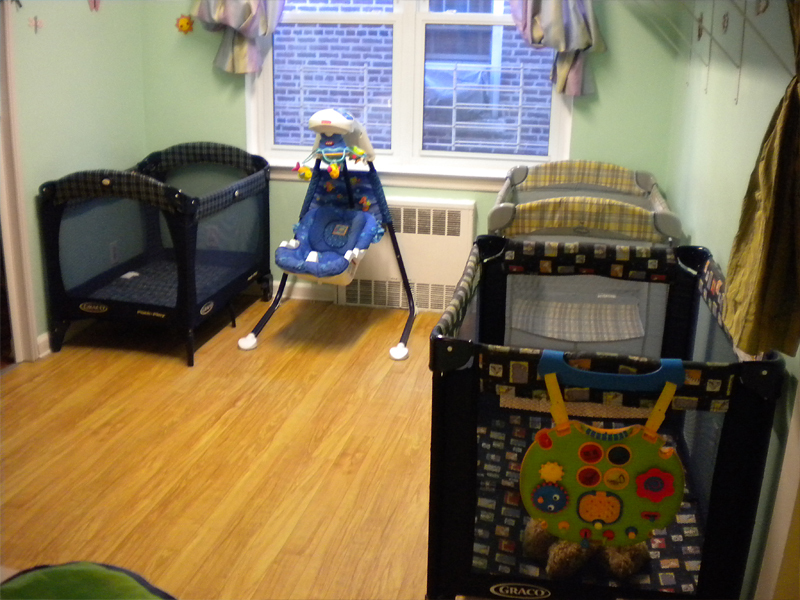 - Our Day Care is open year round and there will be no discounts or adjustments due to absence for any reason. Please see Holiday Schedule for closures. Prior notice will be provided in the event of further closures. All items must be labeled with child’s name. Our policy is in Accordance with the regulations put in place by the State of New York. We are licensed to care for well children only therefore there will be no administration of medication. If your child has/or develops any of the symptoms listed below, he/she will not be allowed to attend the Day Care and/or parents will be contacted in order to have the child picked up ASAP. Upon return to Day Care, child must be free of illness and/or symptoms for at least 24 hours. Medical clearance from physician is required in case of virus or any other infectious disease. Children should be dressed in comfortable, casual, climate appropriate clothing. Our days are long and full of activities. Kids can get dirty from outdoor play, arts and crafts or during their meal so please dress your child accordingly. Please discourage your child from wearing jewelry to school. Please also note that no personal toys from home will be accepted at Day Care. We will not be responsible for lost or broken items. All parents must stay up to date with extra set of clothing as they are used. We check and provide a list of items needed for each child on a weekly basis. This information is E-mailed for your convenience and info. INFANT PROGRAM - Our children follow their own natural routine for naps and feedings. Their day is augmented with singing, outdoor play, physical activity, sensory stimulation and lots of hugs and cuddling. 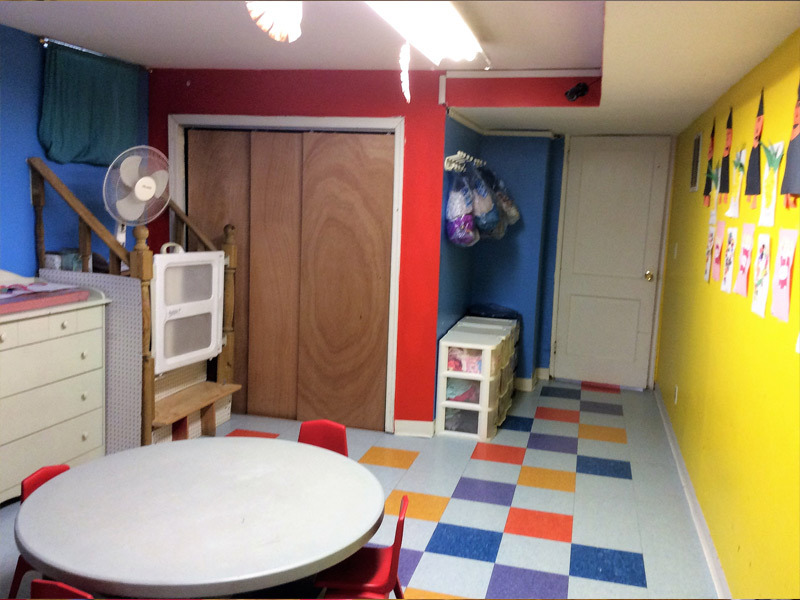 YOUNG TODDLER PROGRAM - Our children follow a typical daily schedule with flexibility built in. Staff is free to change the schedule based upon the mood and/or needs of the child. Daily activities might include learning our colors and shapes as well as block play, puzzles, circle time, songs, stories, manipulative time, toileting, dramatic play and outdoor play. 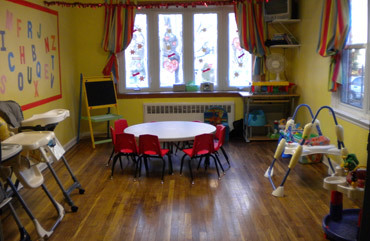 OLDER TODDLER/PRE-K AGED PROGRAM – This is our oldest group of children. We are not a registered Pre-K program but our day consists of basic pre-school curriculum including ABC’s, numbers, Seasons/Months/Days. We try to make learning as much fun as possible. 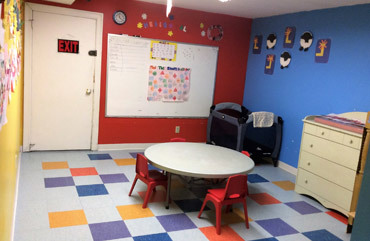 Computer use is encouraged in the Day Care with access to educational games only. No internet connection is available for computer used by our children. Our days are full with education as well as fun filled activities. 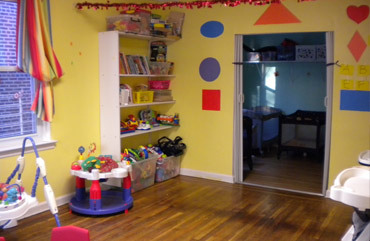 We also have a television in our day care with access only to DVD and VHS use. All our DVD’s and tapes are education based with extremely limited viewing time. Television use is only on an occasional basis. There is no set time on our daily schedule for TV viewing. In the unlikely hood of an emergency evacuation the Day care will be evacuated to one of two locations listed below. Once relocation has been made, all parents will be contacted once we have safely reached our destination with exact location in which to pick up your child. Our menu is posted in the Day Care on a weekly basis. All cooking is done on the premises and we serve hot healthy meals daily. We serve a variety of American meals with some authentic home cooking. There is absolutely no pork products served in the Day Care. Our groceries come from Costco and our fruits and vegetables are fresh from the neighborhood produce markets. For those who prefer to bring in their child’s meal, you may do so. We will be happy to heat and serve your prepared meal as well. 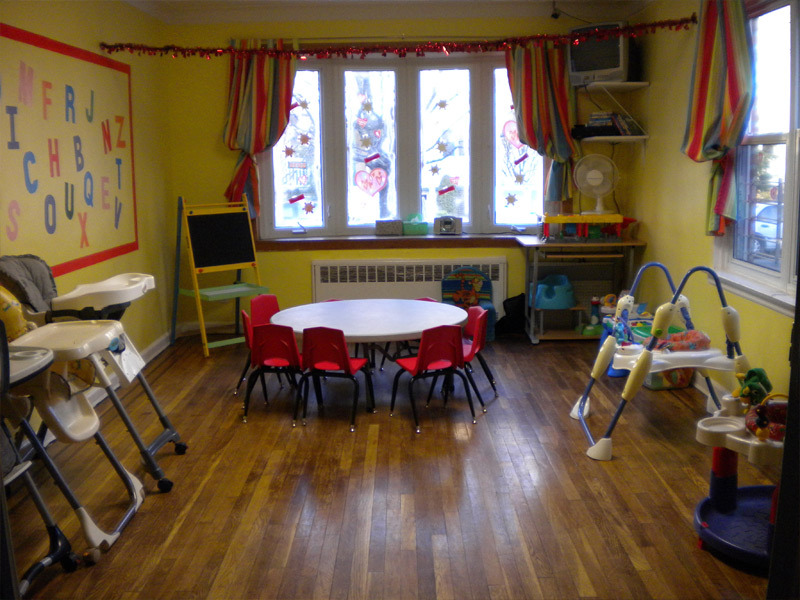 We take the well being of your child very seriously and work very hard to keep the Day Care as clean as possible. 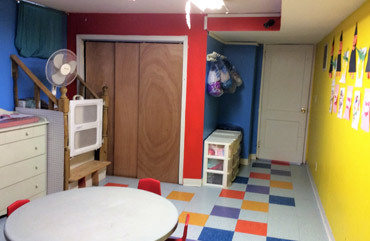 Day Care is cleaned daily with soap, bleach and Lysol. 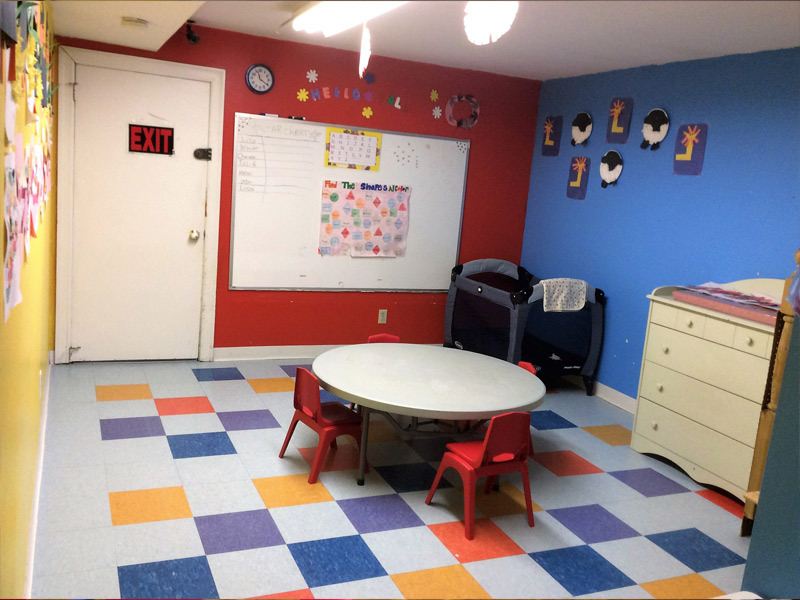 All surfaces that are used by children are cleaned before and after use as well as a deep cleaning at the end of each week, this includes our diaper changing station, toys, etc. Hand washing is a very big part of our daily routine. Hands are washed before and after every meal, once we return from outdoor play and after toilet use. Referrals from a client are one of the biggest compliments we can receive. As a special thank you, we will provide a credit of one week tuition for any referral that results in an enrollment in our Day Care, provided the enrollment is not just a seasonal enrollment but long term. Credit is applied after a successful one month attendance of the newly enrolled child.